„We never created any borders with L´ÂME IMMORTELLE as far as the songwriting was concerned but for „Fragmente“, we really took it over the top and went to extremes“, Sonja tells about the basic idea behind „Fragmente“. Like Thomas, she took five tracks from the last work „Momente“ and clad them into her very own sound. „I would never have dreamed that a Hammond organ (which I like a lot!) or a trumpet would find their way on an LAI album... I am delighted!“ Producer Patrick Damiani re-arranged the songs. Sonja recalls: „Working with him was very creative and inspiring. Thank you – for the wonderful time in the Tidalwave Studio and for all the coffee...“ The result of these sessions can be heard from April 27th, 2012. Today is the day: Our new studio album „Momente“ finally sees the light of day. Three and a half years after „Durch fremde Hand“, we finally return with our new release. We are really looking forward to share this special and intimate work with you. We invested our hearts, souls and passion into these new and extremely personal songs – and hope you will be able to relive our moments of pain, love and longing together with us. Heute ist der große Tag: Unser neues Studioalbum „Momente“ erblickt das Licht der Welt. Dreieinhalb Jahre nach „Durch fremde Hand“ melden wir uns endlich mit unserem neuen Werk zurück. Wir freuen uns sehr darauf, dieses besondere und intime Album mit Euch zu teilen – wir haben sehr viel Herzblut und Leidenschaft in diese neuen, sehr persönlichen Songs gesteckt. Und wir denken, das hört man auch! The wait is finally over: Today, the video for „Wie Tränen im Regen“ is officially released! You can expect a fragile, honest and moving film whose pictures and aesthetics perfectly match the thorough and melancholic attitude of our new album „Momente“. We hope you like the clip as much as we do! As you already know, we have been producing a video for the new track „Wie Tränen im Regen“ in the beautiful City of Rome. It is with great pleasure that we can show you a small teaser to this video today that will give you a first glimpse into what is to expect from the emotional clip that will premiere one week from now - on January 23rd! A few days ago, we launched the club promotion for our brand-new track „Banish“. This means that countless DJs got a copy of the club single with the massive track and it's your turn to make the play it heavily by requesting it. A first listening impression of the song can be found below... Let us know what you think! We are very happy to announce today that we have a shot a video for the song "Wie Tränen im Regen" with director Carlo Roberti (SOLOBUIO Visual Factory) in December and that you will be able to see the first trailer of it on Monday January 16th - one week from now. The cinematic clip was shot in Rome and shows the more emotional contemplative side of our music. 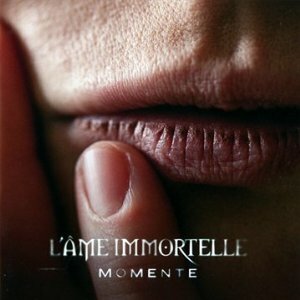 Who still hasn't pre-ordered should hurry up now: The limited fan edition of the new L’ÂME IMMORTELLE album „Momente“ is only available for pre-orders until January 9th, 2012. After that day, there is no possibility to take hold of the set consisting of the CD and an exclusive shirt. Be quick or be dead! "LAI are the flagship of dark, emotional yet catchy music. 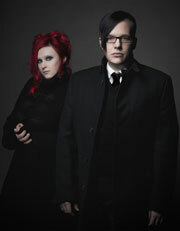 Their new album is once more prove to that mixing gloomy ballads, dreamy songs and dancefloor stompers. This mix is held together by the impressive voices of Sonja Kraushofer and Thomas Rainer who manage to persist the well produced music with pathos and emotion. The band uses all their arsenal that has ever since been the secret of their success without looking like a copycat of themselves. The dusted their virtues, polished them to mirror finish and made them shine. The new album is a dark sparkling gem, seductively beautiful and it’s impossible to withdraw oneself from it’s magic"
This was the biggest video shoot up to date that also features a lot of actors. We liked the main actress in the clip so much that we decided to use her as the cover model for "Auf Deinen Schwingen" and it was a big pleasure to work with renown German actor Ulrich Pleitgen. The big banquet style meal in the video was to be our midnight snack after that scene was finished. Yummie!